Thank you once again to Reverse Mortgage Daily’s dedicated base of readers for starting off our new year of coverage excellently over the past couple of weeks! As a reminder, RMD’s Chicago headquarters will be closed on Monday, January 21 in observance of Martin Luther King Jr. Day. Our normal posting schedule and daily email will resume on the morning of Tuesday, January 22. We hope everyone enjoys the long holiday weekend, and takes a moment to reflect on the efforts of the man being honored Monday to create a fairer, more just society for every American citizen. 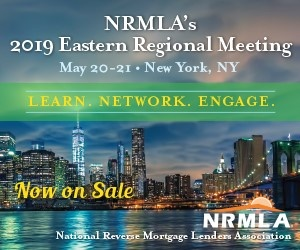 In that spirit we leave you for the holiday weekend, but we’ll be back to greet you with more coverage of the reverse mortgage industry next week.